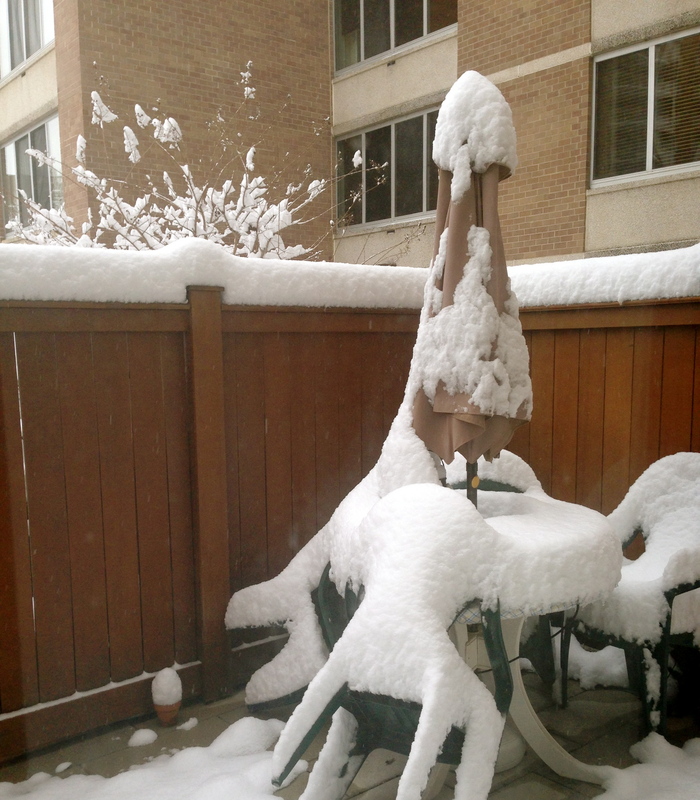 Happy St. Patrick’s Day from snowy DC! Is anyone doing anything fun to celebrate? My celebrations included the St. Patty’s 8k and staying warm today with this snow. Also this delicious drink! Around this time each year McDonald’s comes out with the Shamrock Shake. A decadent green drink made with vanilla ice cream, shake syrup, whipped cream and maraschino cherries. A medium (16oz) racks in at 660 calories, 19g of fat, and a whopping 93g of sugar. That means there are 23 teaspoons of sugar in this one drink, which is much higher than the daily recommendation. Here’s where my own version of a green shake comes in. I’m pretty sure I make a smoothie 6 days a week. 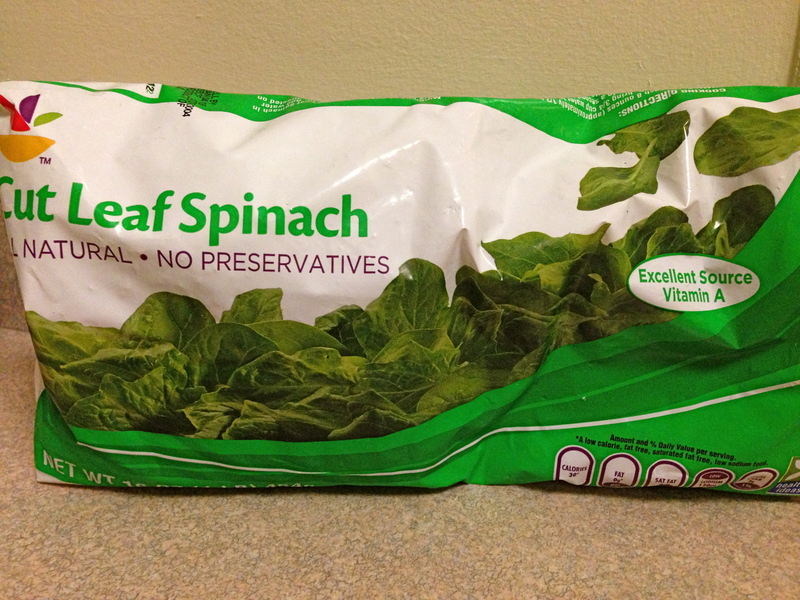 They are an easy way to get in my fruits and vegetables and are great for when I’m on the go. I’ve mentioned before that my go-to combo is skim milk, frozen spinach or kale, frozen banana, hemp protein and a splash of vanilla. Just add the ingredients to a blender and blend until smooth. If you are having trouble blending add more liquid to get things moving. This smoothie is low in calories and fat and high in important nutrients, leaving you feeling healthy and satisfied for hours. If you are nervous about adding spinach to your smoothie, don’t be. You can’t even taste it! 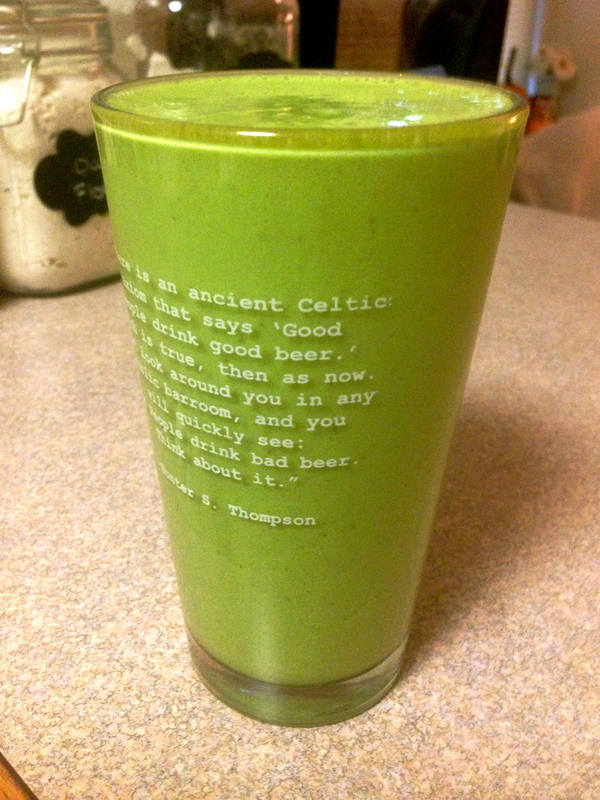 I am aware that this smoothie is nothing like the Shamrock Shake, but believe me when I say it tastes great and will leave you feeling much more refreshed. 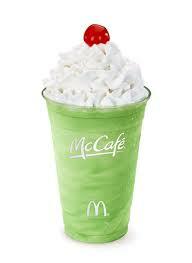 And for a healthy replica of a shamrock shake try out this delicious looking drink! Have a great St. Patty’s Day!